A posterior cervical microdecompression is generally recommended for patients who are experiencing neck pain due to disc herniation. Patients who suffer from this condition may experience neck pain, headaches, and pain, numbness, or weakness that travels down the arm. 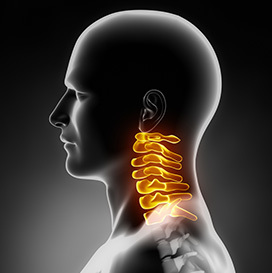 A posterior cervical microdecompression is performed through a small incision in the back of the neck and eliminates the need for a more advanced spinal fusion surgery. The damaged portion of the disc is removed with the intention of eliminating pressure on the spinal nerves. Generally, patients experience relief from pain and the ability to return to normal activities.